Why did Sony's smartphones lose their popularity? The latest subject of our mobile market examination is none other than Sony. Like LG, Sony still has a strong lineup of smartphones despite its woes, but it seems the new releases are only in the public’s eye for a short while before people start looking towards other phones they might actually get. But why’s that? Sony is no stranger to success in the cell phone market. During the '00s, a number of well-received handsets were launched under the Sony Ericcson brand, including many models praised for their music playback and camera capabilities. As much as 9% of the global cell phone market was owned by the Sony Ericcson joint venture in 2007. Riding on the popularity of its successful "dumb" phones, Sony Ericsson entered the Android world in 2010 and launched several notable models, such as the Xperia X10 and Xperia Arc. In 2011, Sony acquired Ericsson's stake in the joint venture. As a result, the division now known as Sony Mobile got full access to the parent company's technology and R&D. How much that helped is hard to determine, but Sony managed to reach close to 5% global smartphone market share at its peak in 2013 and was aiming to become the third biggest manufacturer in 2014. Instead, the company began sliding down the charts. One of the major reasons Sony’s smartphones weren’t successful in the years that followed was the company’s overall strategy for the mobile market. 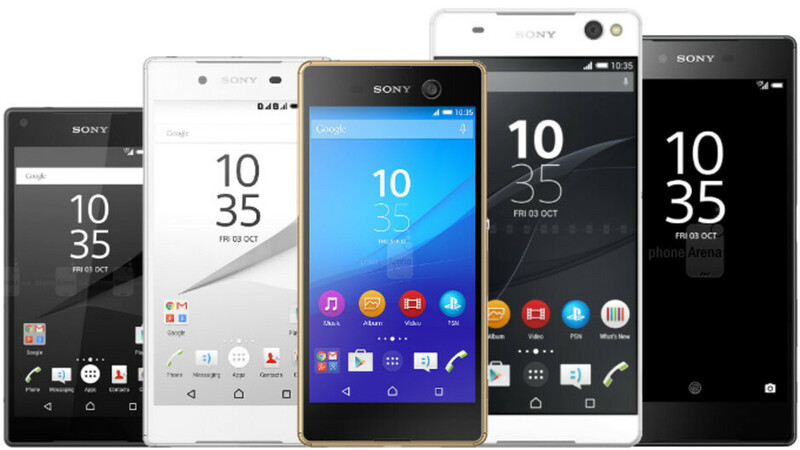 Sony, being a technology giant, wanted to become the "Apple" of Android by offering premium phones only. In 2012, Sony Mobile's CEO said "That is where the value is, that is where the money is", referring to the top segment, and adding that the goal was to "play to our strengths - the premium brand that Sony stands for". However, Apple’s appeal to consumers was not easily replicable and the Android market, at least in its early years, was demographically very different from that of the iPhone. It turns out, Android users had a wide variety of smartphones to choose from, and premium prices had to be backed up by significant hardware features or consumers would just get something cheaper that offered pretty much the same experience. One thing that put Sony at a great disadvantage on the US market was its shoddy relationship with mobile carriers. Exactly what transpired between executives on both sides will likely remain a secret, but it probably had to do with Sony refusing to make adjustments to its phones that carriers demanded. Then there’s also revenue sharing involved when selling through a carrier, which might have been another point of disagreement between the parties. Either way, it didn’t take long before Sony stopped selling its smartphones through carriers, which meant a significant drop in shipments and also lack of brand exposure to potential customers. That move had another negative consequence for Sony. For years, the company had to either disable the fingerprint sensors on its smartphones or remove them altogether for the US market. The reason for that was never clearly stated, but it was linked to a deal Sony made with one of the US carriers that had a clause about the sensors in it. To top it off, Sony is still refusing to change the pricing of its phones, keeping it a tad higher than that of other similarly specced devices. Now, we understand that if you want to be a premium brand, you have to have the premium price to match (again, Apple). But when that strategy does not work for your company a few years in a row, you don’t have to be a marketing guru to realize something needs change. It appears that Sony would rather take the hit from slow sales than offer its flagships for prices lower than those of competitors. Beyond the carrier issues in the States, Sony mobile didn't seem to have a competent global strategy either. The company didn’t really do much to differentiate its lineup from those of its competitors. With its earlier Android models, still under the Sony Ericsson brand, the company often experimented with different designs and shapes for its phones. However, once the name "Ericsson" was dropped, Sony apparently decided it only wants to have serious-looking phones best fit for businessmen, which often meant boring ones. It kept offering almost identical-looking smartphones with an equally identical software experience year after year, giving the impression that the responsible executives had turned on cruise control and called it a day(year). To be fair, Sony did have a few attempts at innovation, the most notable of which is the Sony Tablet P. The dual-display phone-tablet hybrid probably looks familiar to you now, when companies left and right are working on foldable and dual-display smartphones, but it was released in 2011! The technology back then wasn't good enough to make such a device useful, however, so it remained as more of a showpiece. What’s more puzzling about Sony’s approach is that the company is actually a big contributor to the advancement of smartphone cameras. Its sensors can be found in most modern smartphones, including the iPhone XS Max. But for a long while, Sony played the megapixel game, sticking 23MP sensors into its phones, while competitors relied on 12MP sensors. One might assume that Sony would have the advantage here, but in reality, lower-resolution sensors on phones are generally less susceptible to digital noise, allowing them to produce clearer photos despite the lower pixel count. The fact that Sony did not use OIS in its cameras didn't help either. The company also ignored dual-camera setups for too long, betting instead on less useful features like 960 fps video recording. To make matters worse, Sony has been slow to adapt to the market trends, its first flagship with OLED display came out last year. 2018 was also when it finally ditched the design with enormous top and bottom bezels it became known for (not in a good way). However, it was quick to follow with the removal of the headphone jack, straying away from the music enthusiasts as well, a demographic it used to cater to in the past. Beyond the criticism Sony often receives for the lack of innovation, its smartphones never got much negative press, as it was the case with LG, and offered decent performance to those that remained loyal to the brand and there aren’t many of them left. Sony’s smartphone sales have shrunk so much, the company expected to ship around 7 million devices globally in 2018. To give you some perspective, that’s roughly as many as any of the top 3 manufacturers sell in about 2 weeks. At this point, Sony’s smartphone business is on life support provided by the company’s other successful ventures. It almost seems like Sony refuses to pull the plug on the Xperia line out of sheer pride and stubbornness to have smartphones in its portfolio at any cost (similar to what LG is doing). At the rate its sales are going down, however, by this time next year Sony phones will be rarer than a red panda. What can other companies learn from the fate of these three manufacturers? A common theme between all three cases is that users’ trust is hard to gain and easy to lose, who would have thought, right? If anything, what happened to LG, HTC and Sony should be a warning for the current top manufacturers that they’re walking on thin ice, with plenty of sharks waiting under it to grab a hold of that sweet market share. We certainly hope that more phone makers will remain relevant on the market. Competition, after all, is ultimately beneficial for us, the consumers. But maybe one or two victims of bad business decisions won’t be bad either, reminding companies of their “mortality”. Who’ll become the sacrificial lamb, however? Maybe 2019 will show us. Why did HTC smartphones go from popular to obscure? I agree on the points the article mention. But I would not count out Sony from the smartphone business yet. Seems they got a lot of interesting stuff to MWC 2019. Maybe this time they will on top in smartphone cameras? But time will tell. "Seems they got a lot of interesting stuff to MWC 2019" their phones never been the issue. They got marketing problem to, few carrier deals etc..But I think the main problem was the phones itself. The actual reason is bad management seeking to differentiate their products from others at any cost (including departing from customer's needs) instead of actually listening to customers. All of the three companies could ride on their brand popularity even if they offered similar products to the others. Instead, what did they do ? LG brought all kinds of useless gimmicks (bent screen ? really ?) and neglected battery endurance, screen to body ratio and camera quality. Fail. Sony completely failed to keep up with the trends and now their "new" phones look 3 years old. Venturing into 12mm thick phones with no battery capacity increase was like a sabotage from inside or something. Who on Earth green-lighted that ? HTC ventured into the "UltraPixel" 4MP camera and failed, then neglected core features like battery endurance and instead focused on back panel color and "translucency" ? Is this what the customers really want ? If these manufacturers really wanted to be different they would have offered features that customers really need: large batteries (only recently appeared in flagships), compact flagships (you can hardly find any today - even from Sony - Galaxy S10e will finally change that somewhat), carbon fiber of kevlar backs (very rare nowadays and yet far better than glass), high screen to body ratio, large pixel sensors with OIS. Can't exactly say they deserve it but, they say stupidity is when you do the same thing over again expecting a different result. The android premium market is very tricky, especially with competition from the newer brands. It's so difficult to convince consumers to pay a premium for these devices when they can get a relatively similar experience elsewhere for literally half the price. Sometimes even less. I must agree with the author, those designs need serious work. And how do they make the best sensors but never appear in any camera phone rankings?? Things can only get worse from here. Huawei is on fire, Samsung woke up, Apple is in a league of its own and the rest of the Chinese competition is packing some serious heat. Sony mobile is on death row. It's not on the phones itself. They fail miserably at marketing. Prices and stagnant hardware choises, Now look what Chinese OEMs offer. Great value for money and unique, advanced hardware solutions. Large volumes flyig of the shelves. Everybody happy. Sony, or even HTC for that matter, could revive their sales by catering to the smaller smartphone market. 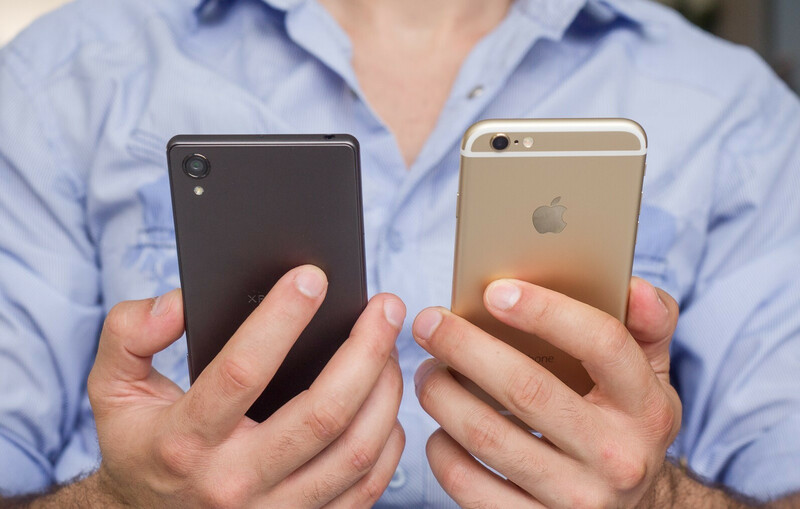 There's not very many 5-inch devices, and a serious lack of 4-inchers (there's literally none available). Well, their sales probably wouldn't skyrocket, but think about it this way: they'd have no competition there. It is evident that you have not used a Sony phone. His statement about poor customer service isn't wrong. I had four replacements for my Z5 Premium, all had faulty headphone jacks even though the jack was rarely used. In the end they just sent me replacement units every time the jack failed as they didn't know how to stop the problem from recurring and told me to keep the faulty phones. This was the first time I broke my 2 year cycle for upgrading and went to another manufacturer. They replaced my Z3 when the waterproof failed with a new one, so i can't complain about it. They refused to replace my Z3 for waterproof failure. After that I never went the sony way until the XZ Premium which was an utter failure o too many fronts. Its evident that you are a sony fanboy. The lack of advertising is the major reason of their lack of popularity. These days people hear more about Oneplus than Sony but I remember the days when we were seeing Xperia Z ads everywhere. Because their phones are pretty good, on par with the best ones in my opinion. Exactly, people complain about past problems, overheating, poor performance, poor camera, they are all problems of the past people don't know how good phones are because they havent use them. What effed then up the most was that they didnt release any of their phones with carriers here in the US and they probably wont in the future which i still dont know why?? . Sure we can be here going back and forth about how great unlocked phones can be . But lets face it most people dont buy unlocked phones .. They go to the carrier of their choice and buy their phones from there... If carriers offered sony phones im sure people would buy them because they would get to see them right there in person at the store and see they aint that bad. I was in mexico last month and walked into an At&t mexico store and they had Sony phones there in the store they offered a few including some high end ones. Same when i walked in to the Telcel store they had sony phones. Here u walk into At&t, Verizon., tmobile, Sprint they offer all kind of phones except sony. People prefer to pay less, not because they offer better features, but because they can not afford it more expensive phones every year (Thanks to Apple) The lack of marketing does not help either, Samsung and Huawei pay influencers, artists and media to speak well of them, Sony should do the same. 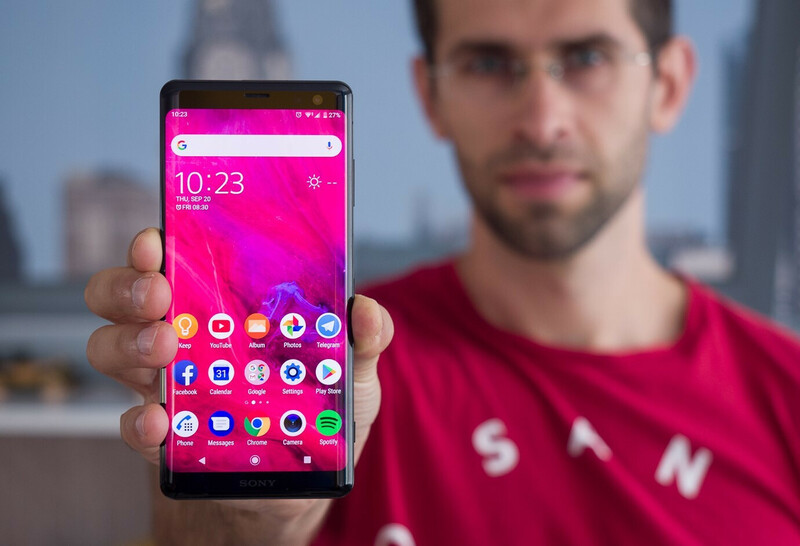 Sony should launch a phone without all its intellectual property technologies, Put a screen on the same level of quality as the Mate 20 Pro (which is not an excellent screen) remove the stereo speakers to make a full screen device, use small front camera sensor, replicate the interface of the iOS camera, Use gradients color like all others, make the corners more rounded just like everyone one else and say that everything use AI (even if it is not needed, people will not know) Sony should stop being different, people want all phones to be the same, What they should do is try new things even if they do not work as we expect, like the fingerprint sensors on the screen, or try to create problems and then provide "solutions" like the holes in the screen. Stop being practical and functional, it's time to pay for be beta testers. @Nevita some sony phones is better than no sony phones at all in carrier stores! And your right i also saw them in Palacio De Hierro and i asked about 1 and they told me on what carrier u want it At&t or Telcel We can activate it on which ever network u want. Here in the US thats never gonna happen with Sony phones ! People prefer to pay for value and quality not for just name Sony is camera manufacturer and yet there camera quality is poorer than the competition who uses sony camera. They had issues with lcd screen for hue tint they had 3 to 4 models they denied to replace the product after sometime. They touted for ip68 rating yet there never phones were never safe with water like other companies. There screen aint that grt side angle viewing compare to samsung lg screens is poor. I owned 2 Sony phones in the past (Xperia Pro and Xperia SP). Loved the ergonomics, the software layout was excellent but on both phones after 2 years the software slowed the phones to the point where they became unusable. Really soured my view of the brand because I really wanted to like them (The Walkman app was excellent). They never were that popular in the phone segment, even going back to their Sony Ericsson days. They've always been high priced but were premium build. I think they've just been satisfied with being in the middle pack as far as market segment. But the game is changing with way more Oems now that offer the same quality at lower prices so it's time they step up their game. ARROGANCE is all what i say, look at the top selling brands followed Sony in some features, waterproof, stereo speakers, super slow mo.... And even side fingerprint scanner is becoming default likely, Sony has been excellent in software performance and updates, they lack only some little things, buy their arrogance is affecting their marketing leading for terrible sales year over year. Can't speak for performance but , i never like the look of Sony phones. For me they are ugly with the huge bezels. They are getting them smaller and looking better. Just personal preference. To be honest, the XZ1 Compact is one of the best smartphone I have ever used. If Sony do a XZ4 Compact, I'll probably buy it. Sony products in general are expensive that's why they also lose in the tv market. And also lack of innovation and slow to change plus of course poor marketing. They should hire Koreans or Chinese to handle their marketing.